EOTec was established in September 2006 to leverage the unprecedented experience of the company’s Principals in the areas of international marketing, business development, direct sales, operations and financing of global remote sensing and earth observation satellite companies and national space program operators. Since 2011, EOTec has also supported the pioneering efforts to commercialize atmospheric weather data collected from privately-owned weather satellites and earth science missions that will drastically improve weather forecasting, climate monitoring and space weather applications. 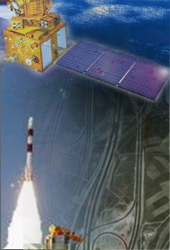 EOTecs focus is to support the rapidly expanding Geospatial satellite industry, and burgeoning commercial Weather Satellite enterprise, with proven experience and support services in international marketing, business development, direct sales, pricing elasticity, product development, strategic planning, proposal strategies, government policy and licensing, change management and project financing. Our team of professionals is dedicated to excellence with industry leading expertise in space borne imaging and weather systems that help our customers enhance program performance, optimize their organizations to compete more effectively and achieve commercial success.